How Far is Devansh Dev Prime Villas Block 2? Patancheru,2 & 3bhk, 91 Smts to 272.00 Smts Villas, From Promoters of Defense Colony – PhaseII ,Near Elanki Engg College and 20 Villas in a Gated Community, GHMC Sanction, ORR Facing & 60 feet Road Facing, Separate Amenities Block & Other Facilities ,Bank Loan Available, Total Area Extends 1.1¼ acres of gated community of independent house, Average. Plot size 134.76 Smts, high end specifications, excellent elevation from Hyderabad's best architect, best landscaping consultant, excellent club house amenities. Structure R.C.C. Framed Structure provided for Ground floor Superstructure 9" Thick Brick wall for external and 4.5". thickness for internal walls with cement mortar Flooring Standard good quality Vitrified Tiles in living, Dining and other Rooms. Kitchen Granite (Black) platform and dadooing of glazed Ceramic tiles up to 2' height above the platform and One shelf in RCM is provided. Door Main door frames 8, shutters with teak wood and all Other doors frame medium teak wood with flush shutters. Windows Aluminium frames with sliding glazed shutters with MS Safety grills with rnesh or MT frames and shutters. Toilets One Indian WC and one Western WC in each house and one white wash basin in hall, brands like Hindware, Rasi, PVC fittings brands like Sudhakar, Nandi, Prince, Glazed Tiles in toilet upto 5' height. Standard ISI make Tap's hot 8, cold mixer Hindware or equivalent brands, gyser provision in toilets. Painting Asian paints for internal walls with Luppam finishing. Cement based paints for exterior and enamel paints for doors. Electrical Concealed, PVC conduit, copper wiring with all necessary light A/C points in all bed rooms, invertor points and Fan points one TV point will be provided in hall, with ISI mark brands like Finolex, Finecab and polycab. Water Supply Water from individual overhead tank is supplied through underground piping system. Roads, Direct Access Systematically designed network of road as per access HMDA norms. Very close to Outer Ring Road. Area 808 sqft West, 854 sqft East bungalow in 150 sqyds. Devansh Group is a renowned firm in our country which has its presence in many industries today such as, Devansh Infra LLP, Dev Infra, Dev Shri Constructions, Dev Properties, Dev Nirmaan LLP, Devansh Infrastructure Pvt Ltd. The group is managed and headed by Sanjay Kumar Bansal, who was also Executive Committee Member of CREDAI Hyderabad from 2013-15. It is a high-quality realtor company in our country which is run by a group of experienced people, who dedicated and passionate about their work. The team never lets you down, they are focused on providing you with excellent projects which are always above your expectations and imagination. It is known for producing monumental structures using cutting-edge technology constructions methods and outsourcing top-class global architects and materials. 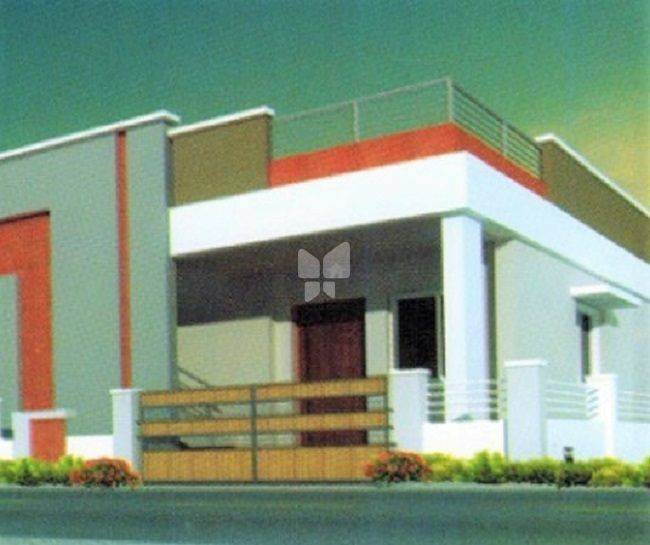 Their projects are comprised of Devansh Dev Prime Villas Block 2 which is located in Patancheru and it offers you 2BHK Villas for sale as well as Devansh Aalto drive in Shamshabad and it offers you 2BHK apartments for sale in Hyderabad and also Dev Defence Colony 2 in Patancheru and it offers you 2BHK & 3BHK villas for sale in Hyderabad. They believe in constantly improving and enlarging the services to meet customers' needs and see them prosper. They strive to build a long-lasting relationship with our customers. To build a strong and reliable infrastructure foundation that will lend total support to the Indian economy. To build a strong future by assuring increase returns for shareholders, a long-lasting structure for clients, enhanced support to associates, safe and remunerative working atmosphere for employees and by contributing effectively to the economy of the country.